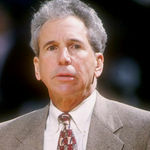 John MacLeod was the all-time winningest coach in Phoenix Sun's history, leading them to 579 wins and the NBA finals in 1976, where the underdog Suns lost to the Boston Celtics, 4 games to 2. For full obituary and coverage from Legacy.com, click here. 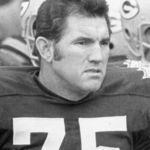 Forrest Gregg was a Hall of Fame offensive tackle who won two Super Bowls with the legendary Green Bay Packer teams of the 1960s. For full obituary and coverage from Legacy.com, click here. 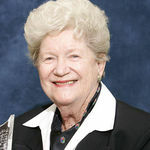 Marilynn Smith was one of the 13 founders of the LPGA in 1950, the oldest women's professional sports organization in the world. For full obituary and coverage from Legacy.com, click here. 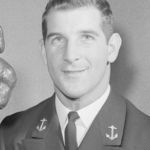 Joe Bellino won the coveted Heisman Trophy in 1960, the first Navy football player to win the award. For full obituary and coverage from Legacy.com, click here. 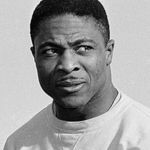 Clem Daniels was a star running back for the Oakland Raiders of the AFL during the 1960s, helping the team win the 1967 AFL championship. He rushed for over 5,100 yards and is the AFL's all-time leading rusher. For full obituary and coverage from Legacy.com, click here. Kelly Catlin was a world class cyclist who won a silver medal in the women's team pursuit at the 2016 Olympic Games in Brazil. For full obituary and coverage from Legacy.com, click here. Ted Lindsay was a Detroit Red Wings legend nicknamed "Terrible Ted" for his toughness and grit on the ice. For full obituary and coverage from Legacy.com, click here. Gene Littler was a Hall of Fame golfer who won the 1961 U.S. Open among his 29 career victories on the PGA tour. For full obituary and coverage from Legacy.com, click here.